Uflex is globally acknowledged packaging industry which is ISO 9001 and ISO 14001 certified and is approved by FDA and BGA. 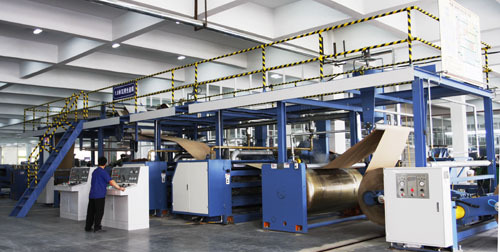 The company’s quality standards and excellence are acknowledged in the form of various awards and achievements like the top exporter of BOPET and BOPP films, the Worldstar award for packaging excellence, FPA, AIMCAL and the DUPONT in 2004-2005. It is pioneering the packaging industry with benchmarks in quality and customer satisfaction. . With unparalleled quality standards, durability quotient, great aesthetics, anti-counterfeiting features, maximum customer satisfaction and the ability to cater to different requirements of sizes and products, Uflex is emerging as one of the leading packaging entities. The company has made its presence felt across the globe with escalating manufacturing facilities, established offices, areas of operation and expanding market in more than 85 countries. With its state-of-the-art technologies and innovative packaging solutions, Uflex is emerging as India’s largest flexible packaging company. With the aim of expanding its areas of operation and providing innovative packaging solutions to different countries, Uflex ltd. is ready to set up its new venture in Aseptic Packaging industry at Sanand in Gujarat. With this project the company strives to provide innovative packaging solutions for liquid products. With various factors supporting the growth of aseptic packaging solutions, it is excelling and emerging as the new trend in the packaging industry. It offers various advantages over the conventional packaging methods like portability & light weight, preservation of nutrients, cost effectiveness, longer shelf life, sustainability, easy storage and handling. Uflex’s foray into the aseptic packaging industry has expanded its areas of operation and completed its range of product offerings.